The computer-based Neonatal CCRN test is taken as part of the CCRN certification. Candidates are given three hours to complete 150 multiple-choice questions. Candidates do not have to have a BSN, but they do have to have an up-to-date RN license that is valid in the United States and free of any impediment. Candidates must meet all of the necessary eligibility requirements before taking this exam. After passing the Neonatal CCRN exam, candidates receive a wall certificate and wallet card. Candidates that do not pass may appeal or take the test again. There are no particular technical abilities needed to meet assessment eligibility, but it is important to understand physiology and how to handle situations which require monitors or ventilators. Comprehending these matters will aid candidates in comprehension of the items tested. Knowing about these tools will help when reading case studies. Someone who has CCRN certification should have the expertise needed for complicated situations in which a person is acutely or critically ill. The assessment given for this certification does include the newest information available for the field. 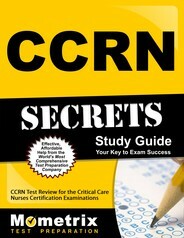 Candidates will need expert knowledge in the field in order to do well on the Neonatal CCRN exam. Ace the Neonatal CCRN test using our Neonatal CCRN exam study guide with practice questions. 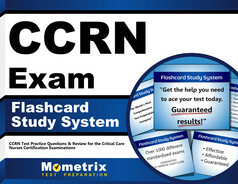 Quickly Solve Difficult Neonatal CCRN Test Questions with the Neonatal CCRN Flashcard Study System.